1 Layer, Box of 8, approx. 0.70 lb. 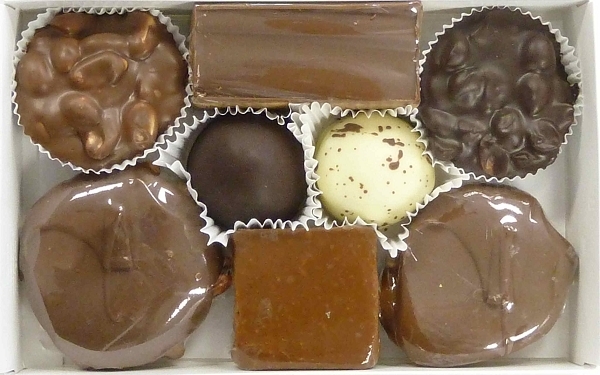 This chocolate and nut assortment includes a University of Okoboji rear window sticker and fun entrance exam. Univeristy of Okoboji was founded by The Three Sons, Milford, IA. 1 Layer, Box of 13, approx. 1.15 lb. 1 Layer, Box of 20, approx. 1.85 lb. 2 Layers, Box of 26, approx. 2.30 lb. 2 Layers, Box of 40, approx. 3.70 lb.